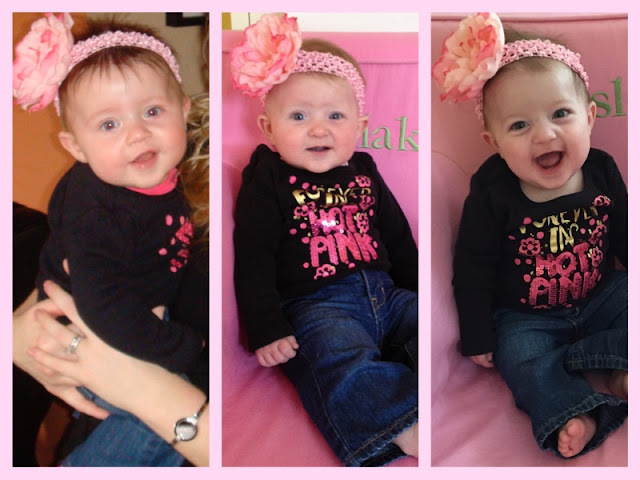 Paisley Jean Is Six Months Old!!! That's a half of a year!!! Half of her first year is over in the blink of an eye! Last year at this time, we were announcing my pregnancy to family and friends, and now she is 6 months old! That is very very hard to believe! I took Paisley for her 6 Month well visit to the pediatrician today! She got a clean bill of health!!! 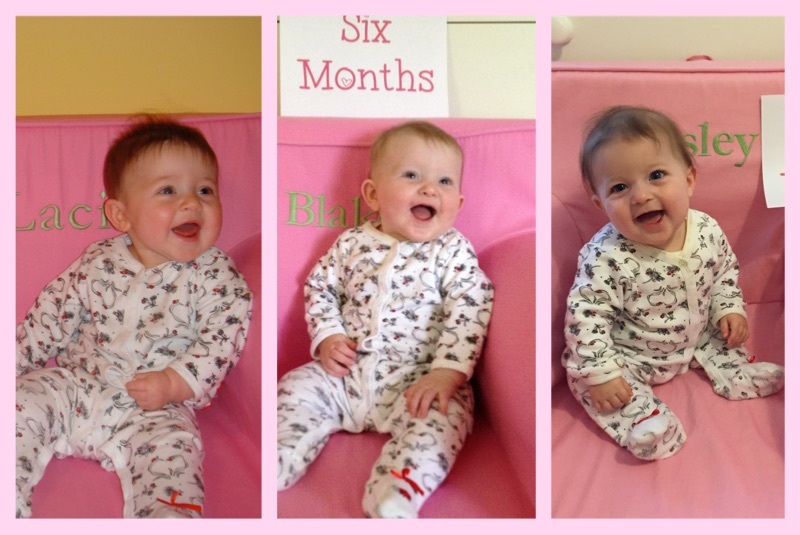 The doctor was very happy with her weight gain, even though she still continues to be the tiniest of the Hilosky Girls! She's in the 25th percentile all around!